A shift dress with angular colourblock elements, the Joyelle Dress is a bold midi style option for the fun-loving that is suitable for both work and play. Fully lined with a silk-like fabric, this piece is bound to be both comfortable and flattering. 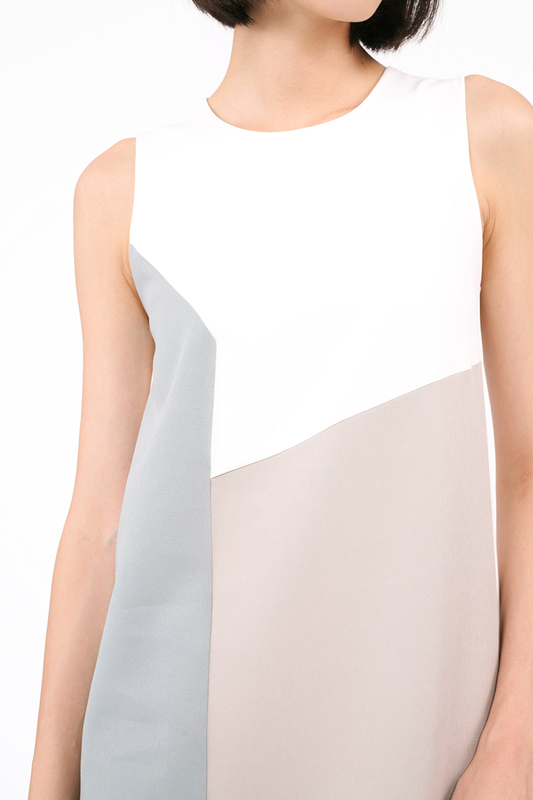 Highlights also include the hidden slit located near the hem where the colourblock details meet. * Sizing differs for each colour. Note: Always hand wash garments that are white with coloured panels separately for the first wash. Do not soak. Slit 10.25" 10.25" 10" 10"